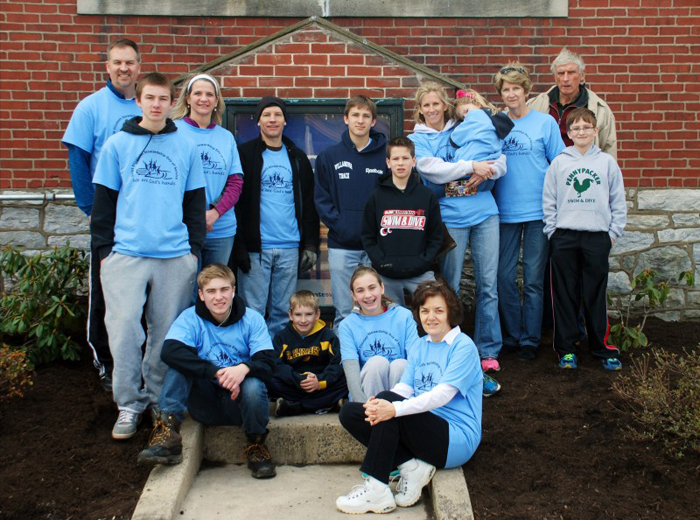 A 14-member team of St. Elizabeth Parish in Upper Uwchlan spruced up Bridge Academy and Community Center (BACC) in Coatesville on April 5, part of the parish's fourth annual Stewardship Day of Service. On Saturday, April 5, 300 parishioners of St. Elizabeth Parish in Upper Uwchlan participated in the parish’s fourth annual Stewardship Day of Service. Volunteers fanned out across Chester County to provide service to a wide variety of agencies including adult day care, food pantries, homeless shelters, horse farms that provide therapy for those with disabilities, pregnancy counseling agencies and more. The types of services included outside yard work, indoor spring cleaning, painting, routine maintenance and organizing and packing medical supplies. Because I have a particular interest in issues related to domestic poverty, I was so pleased to help Bridge Academy and Community Center (BACC) in Coatesville. This organization is focused on making a difference by providing children, in a community where the odds seem stacked against them, with the tools necessary for academic achievement, life skills, creative expression, spiritual growth and leadership. Together with other community volunteers, 14 St. Elizabeth parishioners (seven adults and eight children) and I provided needed spring cleaning for BACC. In just three hours, we cleaned, mulched and groomed the BACC grounds, and we transformed the interior of the facility by organizing crafts cabinets, mopping floors, cleaning kitchen cabinets and organizing supplies. It was especially rewarding to me to see how our families worked together in stewardship service to BACC. Everyone did their share — even the teenagers and youngsters graciously jumped in and did yard work and cleaning! I was exhausted by the time the work was finished but had such a feeling of accomplishment and am so thankful for the gifts God has given me. It was a blessing for me to share these gifts with my local community through the St. Elizabeth Stewardship Day of Service.